If you get 'validation errors' - please refresh your screen. Thank you so much for your wonderful service. I am over the moon with the quality of the clean! I'll be back. 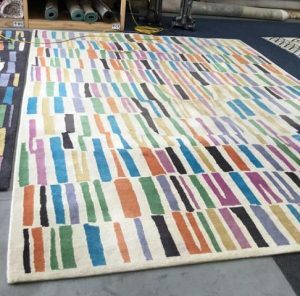 Just a quick note to thank you for the excellent job you did on our two large Robyn Cosgrove rugs – they look fantastic. Because they are both now clean, the original colours, although somewhat faded over time, are much more vibrant. So well done and once again many thanks. I would love to Thank You for the marvelous job you and your team achieved in cleaning my large Moroccan rug. It not only looks great, it feels great! It feels silky under my bare feet, it's never felt like that before. 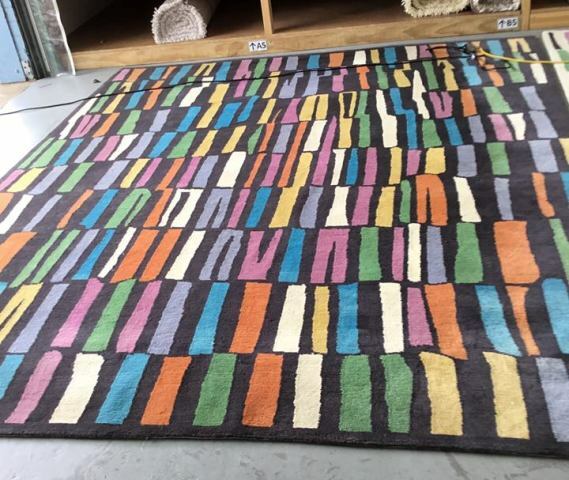 It was also a great service that you offered in providing maintenance on the rug fringe too. I also appreciated Frank & Brendan taking their time out to deliver the rug to my new apartment. After completing the painting of the unit, the Moroccan rug now takes pride of place in the lounge room. Thank you all for doing a brilliant job. Delighted with our clean rug. Excellent service.